Once again, the entertainment industry is showing they are out of touch with reality! 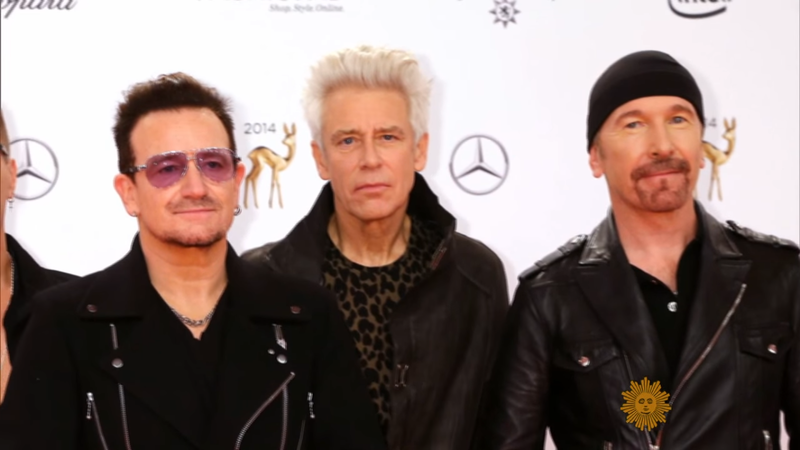 Earlier in the week, U2 blamed Donald Trump for the delay of the release of their latest album. Now they are threatening to cancel it altogether until Trump resigns from the presidency! Does the ego of the Hollywood elite know no bounds? U2 front man, Bono, also has a great way to combat ISIS, and that is with COMEDY! You can’t make this up! Bono – “Don’t laugh, I think comedy should be deployed”. Why would be laugh at that Bono?? He can’t be serious here…can he?? U2 fans are going to be very disappointed in this! But they’ll get over it.